Whether you sew items for a living or you do it as a hobby, a heavy duty sewing machine should be a part of your collection. Have you ever seen smoke coming from your machine or smelled something burning? Maybe your sewing machine made a strange noise when you pushed down on the presser? If you've ever experienced this, then it's time for an upgrade. Unfortunately, there's only so much that home sewing equipment can do, and if you overwork your machine, it will eventually give out. And even if you're currently just stitching thin fabrics, you never know when you might need a more durable machine. 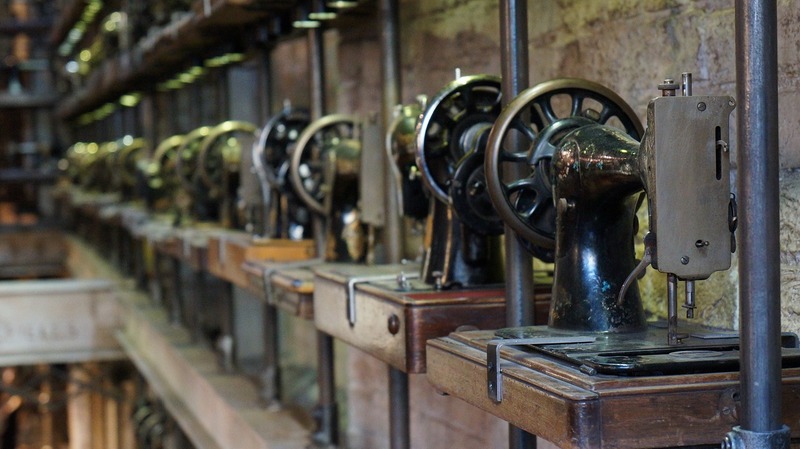 With that said, there are many options to choose from, so understanding the functions and features of different brands is essential when you are thinking about buying a heavy duty sewing machine. But no matter what your needs are, there is something that's right for you. If you design clothing and home interior decorations you might find yourself sewing together thicker fabrics. The beauty of having a heavy duty sewing machine is that it's durable enough to sew material like quilts, denim, and leather. Not only that, but it also has a faster stitching speed. A regular sewing machine can stitch about 1,500 stitches per minute, whereas a heavy duty machine stitches about 6,000 per minute. So if you have a small business selling your sewn items, a swift device makes a huge difference in production. Sewing coarse fabrics with a home sewing machine can cause it to overwork itself, which leads to wear and tear. They are best used for stitching very thin fabrics or fixing a torn t-shirt. Although home equipment is very affordable, it might be worth it to invest in one of better quality. You never know when you might need to sew together upholstery or curtains, and when you do, you'll have a machine that can handle the workload. There aren't many disadvantages to having a heavy duty sewing machine, but some of them are quite expensive. The cost depends on the features you want and prices can range anywhere from to . But of course, if you get a high-cost heavy duty sewing machine, it will produce better quality products, which isn't really a disadvantage. You might just have to save up to get the equipment you really want. The only issue you might encounter is its weight. A heavier machine will make it difficult for it to be portable. So, you won't be able to take it with you and it would have to be set in a stationary position. Now that you have more knowledge about the product, you can make a decision about which brand might be best for you. 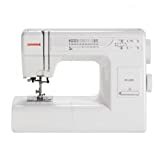 Although buying a heavy duty sewing machine may seem slightly overwhelming, especially if this is your first purchase, there really is something for everyone. Compare the features of the machine with your budget to decide which one will fit your needs. You really can't go wrong with any of the following top of the line machines. Listed in no particular order. Overall, this heavy duty sewing machine is reasonably priced and comes equipped with some nice features. It's a great value for the money and a good investment for newbie sewers. If you want a low priced sewing machine within the Brother brand, this is a good choice. It provides plenty of benefits, however, it's not as fast compared to the Singer listed above. Nonetheless, you can't go wrong with this option. 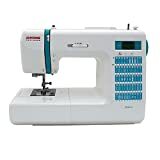 Sewing leather together is super simple with this machine, and many heavy duty sewing machines lack that ability; despite the manufacturer claims. With that said, if you can afford to pay a little more for this product, do it! If you're a quilt enthusiast, you'll be happy with this machine. And although it's more expensive than the other machines on the list, it still has a remarkable value. If you're looking to improve your sewing experience, this is the product for you. Not only is it equipped with the essentials needed to create gorgeous stitches, it provides it in a modern way. This is a fantastic machine. If you've never purchased a sewing machine, it's a good idea to make your first purchase a heavy duty sewing machine. And even if you've been sewing for years, owning a more durable machine gives you the option to stitch different types of fabric. So, now that you know more about the equipment, you should be ready to take your sewing skills up a notch. As you can see, it's possible to buy a name brand machine for . With so many affordable options, you can begin to indulge in all of the fun that sewing has to offer.